Meridian Energy Therapies (METs) originated in 1981, when Roger Callahan, a US psychologist, developed Thought Field Therapy (TFT)- which had good results treating psychological problems by tapping on the body's acupressure points. TFT uses sequences of tapping specific points, in a particular order, for a particular problem, eg. anxiety, phobias, physical pain, trauma, addictive urges, depression, anger, shame & embarrassment, obsessions/compulsions. 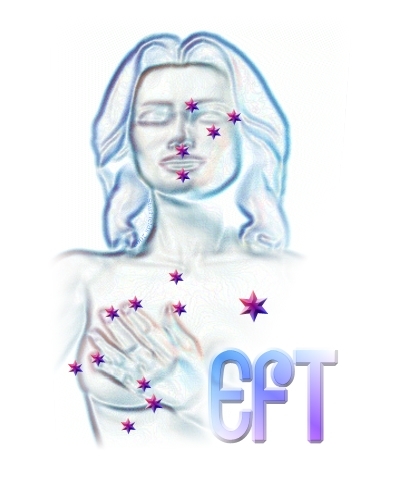 "Energy Psychology" or Meridian Energy Therapies, are continuing to evolve, and the original Thought Field Therapy has been further developed by Gary Craig, into a simpler, more user-friendly tapping routine, known as Emotional Freedom Technique (EFT), which is clamed to be effective at treating some anxiety, phobias and other various psychological disorders. Meridian Energy Therapies use the Discovery Statement, "The cause of all negative emotions is a disruption in the body's energy system". When experiencing the emotion, whilst using one of the METs, we can correct the energy flow. Tapping on the body's acupressure points - the points at which the main meridian energy lines are close to the body's surface - affects the energy flowing through those meridians. Tapping on one meridian also impacts on the others, as they are all inter-connected.